Last week, I formally introduced our Eclectic School Room. I wanted to answer some reader questions about how I pulled it all together. I got my maps from paper-source.com. They are sheets of wrapping paper that I hammered on the wall. I overlapped the edges ever so slightly and tacked all four corners of the maps. (since they were overlapping, the tape didn't touch the wall). 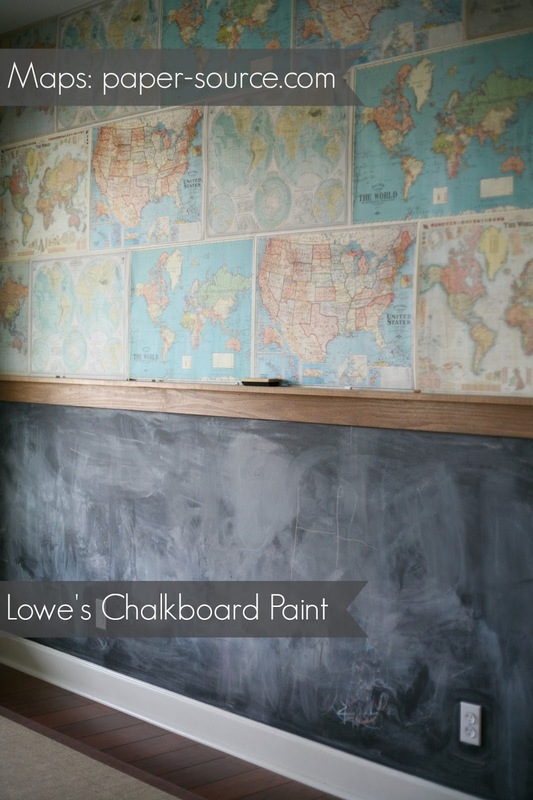 We did two coats of chalkboard paint for the wall. and next time I will make my own to save on cost. The walls were previously a burnt orange color and I was in dire need of lightening it up. I was introduced to QuietHomePaints.com and their eco-friendly paints. 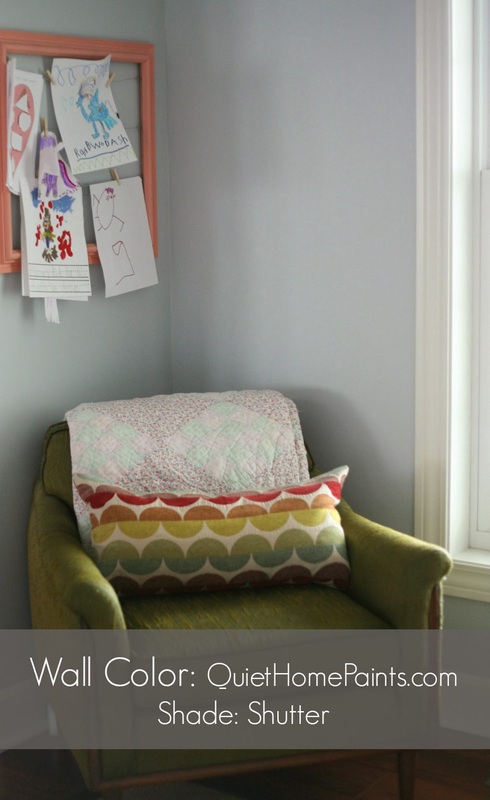 The paint is a soft grey, blue and meshes so well with the color scheme. The actual color is Shutter. +it didn't have any odor at all while wet, unlike conventional paints. 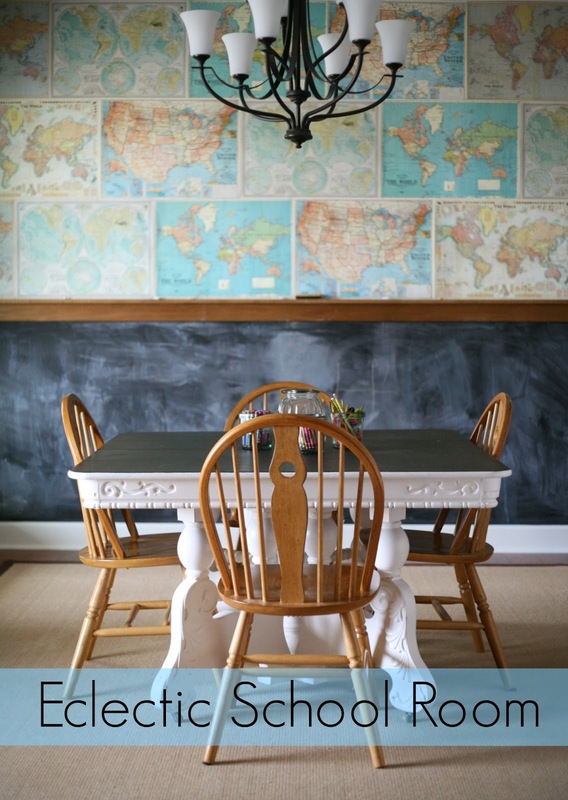 Everything you wanted to know about our Eclectic School Room! I SO love the overlapping maps on the wall!! Those are awesome!! So glad you posted about this. When I saw your pic on Instagram, I had to pin it!